Often in the United States, many people "look down" on wrestlers who's sole purpose is just to entertain kids, such as a Hornswoggle or Santino Marella. But in Mexico, those wrestlers are revered and often celebrated. 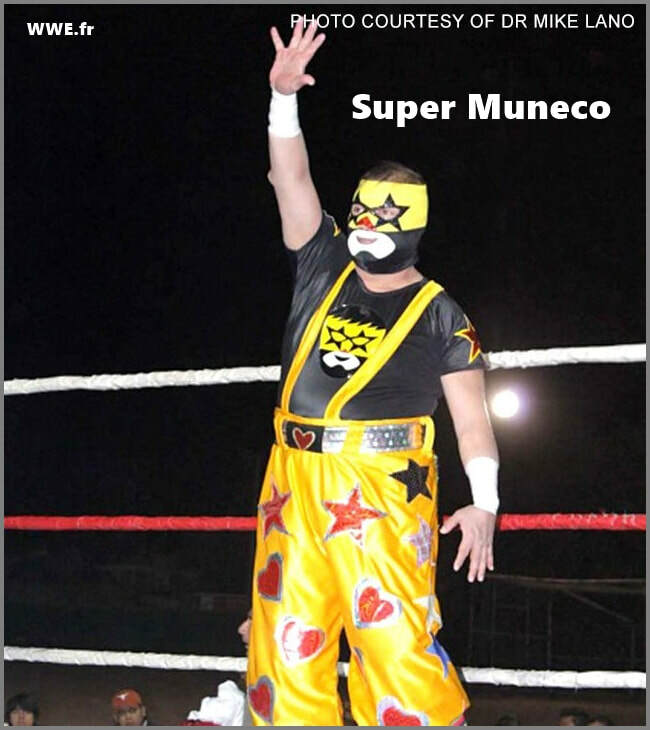 And probably the most popular luchador of all time that was "for the kids" is Super Muneco. To this date, his real name is still unknown. He was born on April 10, 1962. Trained by his father, El Sanguinario, he made his debut on March 22, 1982 under the name "El Sanguinario Jr". But after a year in the business, it was obvious his heart and style wasn't into playing a "rudo" (heel). So after watching the TV show "El Tramposo", he decided to dress up as a smiling clown, and became "Super Muneco" (Super Toy). Initially, he was frowned upon by the fellow wrestlers to work with, due to his comical gimmick, but ended up gaining the respect of the boys quick enough. He also formed a trio with fellow "childrens" wrestlers, Super Raton and Super Pinocho, known as Trio Fantasia. The trio sold out numerous house shows as Pavillón Azteca for their Monday night shows, known as Super Lunes. Their biggest feuds were against fellow "children gimmicked" wrestlers, such as "Los Tortugillas Karatekas" (Ninja Turtles) and Los Thundercats. Super Muneco also holds a major record in lucha libre, as he has won the second most mask matches in lucha libre history, well over 100 on record. He was always willing to bleed during these matches, and was great at the drama of making you feel he was about to lose his match, no matter the opponent (by the way, it is Estrella Blanca, who holds the record for winning the most mask vs mask matches in lucha libre history, with over 200). Super Muneco has won numerous singles and trios titles over the years, and is now semi-retired (as of August 31, 2014).